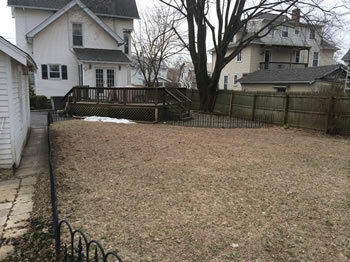 The owners of this property in Norwalk, CT had a vision of making their constricted backyard into a sprawling area for entertainment and relaxation. The backyard consisted of an awkward deck with a virtually unusable patio and a small grass area. After meeting with Zach Hansen they felt very comfortable working with him and Robert Hansen Landscaping, LLC. We service Shelton, Trumbull, Monroe, Westport, Weston, Fairfield, Woodbridge, Stratford CT and neighboring cities. The design helps the client to visualize the project, and also ensures a higher degree of accuracy when estimating and installing projects. 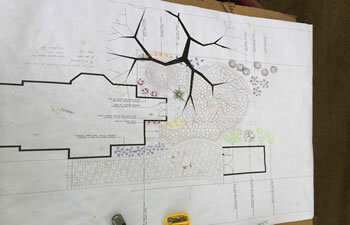 We highly recommend a landscape design before any project, but certainly larger scale projects. One of the biggest issues with this particular project was the limited access to the work area. By organizing material and equipment deliveries, and staying on schedule, we were able to utilize the small space and finish the project in a timely fashion! 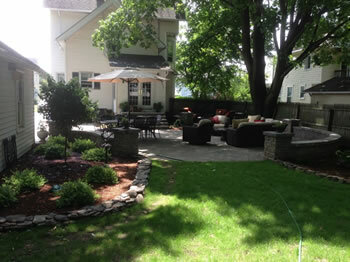 Together, we designed a new, functional back yard that is meant for relaxation as much as it is for entertaining. We decided to remove the old deck, and build a new patio that would include a fire pit, sitting walls, and plenty of room for some much needed plants! 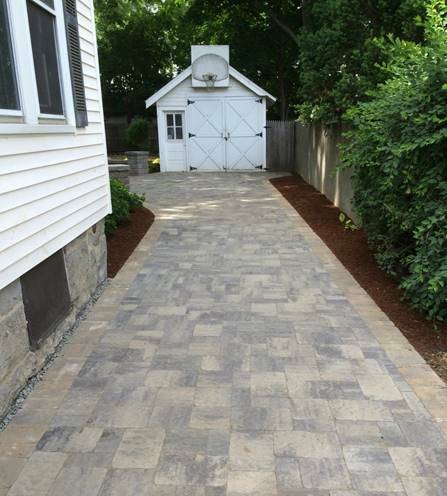 We also replaced the crumbling asphalt driveway with a new paver driveway! Driveways require a lot of extra subsurface work. 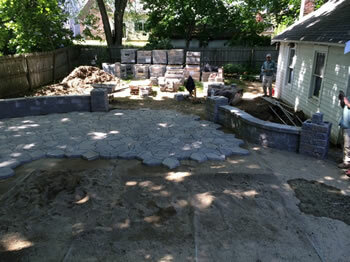 A deeper base must be installed and correct pavers must be chosen to withstand the pressure and weight of vehicles. We even use these pavers to create commercial parking lots, which can endure being driven on by tractor trailers! Thin pavers from department stores often fail quickly. Our highest quality concrete pavers, installed on a heavy duty base of processed stone and sand, are made to last for years and years. The biggest benefit of using concrete pavers for a driveway is that if there is a problem, it is easy to replace small sections of pavers, instead of having to repave the entire driveway. The joints are filled with a polymeric sand, which come in different colors, and can really change the accent of any paver project. Pavers can also be cleaned, re-sanded and re-sealed to keep them looking brand new! 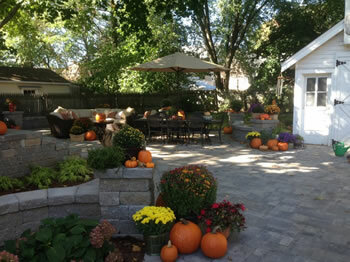 After we completed the project, the homeowners added some of their own touches and are continually sending us beautiful photographs of their new backyard oasis! They were a delight to work with and work for! Hopefully we can work with them again in the future!